You Are Here: Home → Woman Thrown In Jail For Having Vitamins? Woman Thrown In Jail For Having Vitamins? Police overreach (and incompetency) is way too common. Reports of police brutality are rampant, but you would think, in this day and age, that plain old garden-variety incompetency would not happen. After all, with all the technology that police can put into investigations, they should be able to figure things out pretty quickly, right? Well, not always, it seems. Rebecca Shaw spent five months in jail because a sheriff’s deputy conducted a field test that could not tell the difference between vitamins and oxycodone pills. To make matters worse, it took a year for the state crime lab to test the pills and clear Shaw’s name. Shaw’s nightmare began in September 2015 when her car ran out of gas. A deputy received permission to search her vehicle, found the pills, ran the test and arrested her, The Miami Herald reported. “He said, ‘They don’t look like vitamins. They look like oxycodone,’” Shaw said of the deputy, according to Fox 13 in Tampa. She was arrested on drug trafficking charges, and placed in jail for five months. She stayed there until her husband was able to raise $5,000 in bail money. 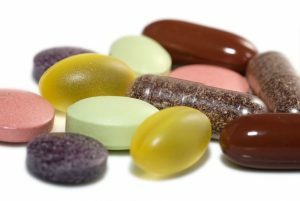 It took another seven months for a Florida crime lab to retest the pills and discover they were vitamins. That caused prosecutors to finally drop the charges. Imagine that you were in this lady’s situation. You’ve done nothing wrong, yet, because of a test that gives a false result and the assumption of a police officer, you spend nearly half of a year in jail away from your family. How would you feel? Shaw is just one of many people who were jailed because of faulty field tests. Fox 13 went to a lab and had the kits themselves tested. That’s right. The drug tests used by law enforcement officers consistently give false positive results. Yet, these are the tests used to arrest and convict people and put them into jail. Even if law enforcement officers are being honest (and I believe that the overwhelming majority are), if they are provided bad information, how can they do justice to people who they are dealing with? The answer is that, many times, they can’t. This is a huge problem. We need to insist that our law enforcement officers are provided the absolute best information. If they do otherwise, more innocent people will have their rights trampled on, too. I hope she ends up owning the entire Police Dept. and town after the suit is settled. See what happens when you don’t stand up for your rights? You allowed the search for you thought hey I have nothing to hide, but you should have stood your ground, either way you might have still had the problem, but you might have made this thug think twice about his actions. The very fact he said don’t look like vitamins to me tells you what he was like. Perhaps you might have come back with your face don’t look like a face, it looks like a big prick. Sue their assess off though and let the tax payers foot the bill for two sides of negligence. Them for being thugs, and you for not standing up to them. Sue the sheriff, deputy, and county. OWN the courthouse, and turn it into a winter home in florida. . . .
Did the much aggreived innocent victim, if the foregoing article is accurate, file a world ending suit against the officer, his agency and the mob that provided the test kit? If not, why not, unless the lady ended up awash in money, having been bought off? By the way, if it had been yours truly that had been messed with, it would take one hellish large pile of money to buy me off. This is a great reason not to let the police intimidate you into a search..ignorant and sometimes arrogant cops can cause your life to be turned upside down.get a search warrent.. Refuse to answer questions. Wrongful arrest lawsuits typically go nowhere. The departments and cops obviously know this, so they have little to fear from us “civilians”. Hope this lady never needs to apply for a job ever again, because that arrest record will hang over her head forever. FYI, police do not work for you- they work for the Department as a revenue-generator tool. Their job is to enforce policy, hence “policy” officer. The ‘Protect and Serve’ plastered on their cruisers is simply a little ironic humor. It’s not bad enough that the drug companies are pushing doctors to push poisons on us, but now the cops can’t even get a valid reading on legitimate drugs in the field OR in their labs! You are naive and dumb to think that cops are honest. They are rewarded and promoted on the number of arrests not on how ‘honest’ they are. They are immune to any consequences of their actions as they can always claim that they ‘believed’ or ‘feared’ or some other pretext. They will always, always, always cover for each other and the ‘justice’ system of DA and courts will always, always, always support and protect the police. If you become the ‘enemy’ by taking them on in civil court or the media, you will be hounded to the ends of the earth and retaliation will be severe. Say goodbye to your kids and your job. You are living in a police state and don’t you forget it. I would have asked that the the tests be run again. The police sometimes over reach when money is inlvolved.